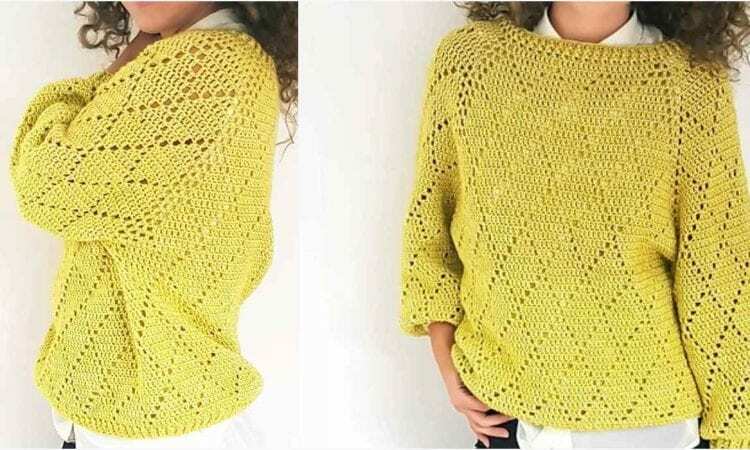 “My precious” is a wonderful example of how to use the Raglan method to produce a beautiful sweater. In this case, the yoke is longer than usual and then the three portions of the sweater are worked individually. This sweater has no seams. The diamond pattern gives it a beautiful texture that seems to flow on the oversized garment. A link to a free pattern is at the end of the post. Awesome Poncho In Three Free Patterns. Crochet Delight Cloak Perfect for Winter Home Fashion. I like this pattern, can’t wait to try it.